Al-Jawiyyah prison in Misrata, northwest Libya, is a detention center holding mostly former fighters, sympathizers, and members of the Gaddafi security forces. 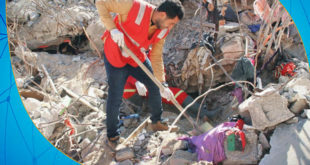 (Beirut) – Human rights conditions in Libya further deteriorated during 2015, as militias and forces on all sides of the conflict carried out war crimes and crimes against humanity with impunity, Human Rights Watch said today in its World Report 2016. Armed conflict has engulfed the country since July 2014, resulting in the formation of two governments competing for legitimacy, one in the east and one in the west. 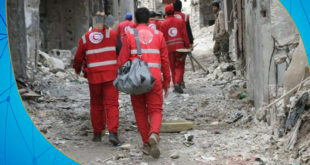 The hostilities have led to the displacement of 400,000 people, a breakdown in law and order, paralysis of the justice system, an increase in kidnappings for ransom and enforced disappearances, and the spread of extremist groups such as the Islamic State (also known as ISIS). 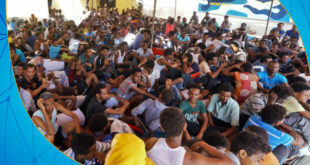 Tens of thousands of migrants, refugees, and asylum seekers transited through Libya on their way toward Europe, facing perilous sea journeys. On December 17, 2015, the United Nations brokered a political deal between some Libyan factions with a view to forming a government of national accord. A presidential council operating from Tunisia has come into being, while a cabinet of 32 ministries proposed by the council on January 19 awaits endorsement by the House of Representatives. “Civilians in Libya are bearing the brunt of armed conflicts and a failed political transition that have crushed any semblance of the rule of law,” said Eric Goldstein, deputy Middle East and North Africa director at Human Rights Watch. In the 659-page World Report 2016, its 26th edition, Human Rights Watch reviews human rights practices in more than 90 countries. In his introductory essay, Executive DirectorKenneth Roth writes that the spread of terrorist attacks beyond the Middle East and the huge flows of refugees spawned by repression and conflict led many governments to curtail rights in misguided efforts to protect their security. At the same time, authoritarian governments throughout the world, fearful of peaceful dissent that is often magnified by social media, embarked on the most intense crackdown on independent groups in recent times. In what may amount to crimes against humanity, authorities from both of Libya’s competing governments and militias are holding thousands of detainees in long-term arbitrary detention, some for up to four years, without charging them with a crime or affording them a judicial review. Many detainees, including children under 18, have been tortured and subjected to other ill-treatment. Forces engaged in the armed conflict flaunted international law by arbitrarily arresting people, torturing them, and indiscriminately shelling civilian areas and otherwise destroying civilian property in attacks that in some cases amounted to war crimes. These included forces affiliated with the competing governments, one based in al-Bayda and the other in Tripoli; forces engaged in a conflict in the southern region; and fighters affiliated with extremist groups, including ISIS and Ansar al-Sharia. Some forces also used cluster munitions in populated areas and antipersonnel landmines, both internationally prohibited practices. The Islamic State expanded its presence in Libya, taking control of the coastal city of Sirte, where it established its own brutal form of public administration and justice. 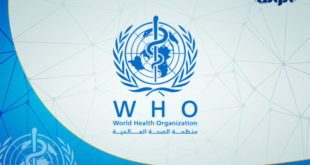 The group claimed responsibility for several attacks, most against civilians, including in Tripoli, Derna, and al-Qubba, and publicly executed opponents. Members of the group also killed people it accused of apostasy, including a group of 21 mostly Egyptian Coptic Christians and a group of 30 Ethiopian Christians, in early 2015. With the breakdown of the justice system in Libya due to insecurity and political divisions, there is little prospect for domestic accountability. The prosecutor of the International Criminal Court (ICC) did not open any investigations into ongoing serious crimes in Libya despite an ongoing mandate. The UN Security Council passed resolution 2174, which threatens those responsible for serious crimes with sanctions, including travel bans and asset freezes. But members have not imposed any such sanctions.